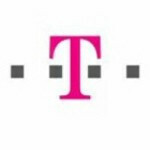 T-Mobile will be launching their version of mobile payments sometime starting in 2011 with a larger rollout scheduled for 2012 for devices armed with NFC technology according to Deutsche Telekom. Expectations are going to be pretty high for this technology. It can replace the need to carry around credit cards, or even cash. There is going to be several security measure taken to ensure that any valuable information transmitted over NFC doesn’t get into the wrong hands. Tell us what you think in the comments below.